At the first notion of planning a trip, many people begin to search online for all things associated with their chosen destination and immediately become overwhelmed.The excitement of a well deserved vacation is just too much to contain! Dozens of amazing photos of exotic locations coupled with as many of the The Top 10 Things to Do in____ articles you can dig up will take over anyone’s inbox. And, if you crowd source for opinions in any of your social media outlets, you’re bound to get wildly differing suggestions and recommendations as to just how to visit your destination. It seems as though everyone has visited everywhere these days and can't wait to humble brag all about it. Somehow visiting a city, beach, or whatever just once makes an expert out of the advice giver. There’s a better way to collect travel info and save it in tidy, neat categories. Have you ever thought of using Pinterest to help plan your next trip? Millions of people are trying it, and the Travel category on Pinterest remains one of its most popular. 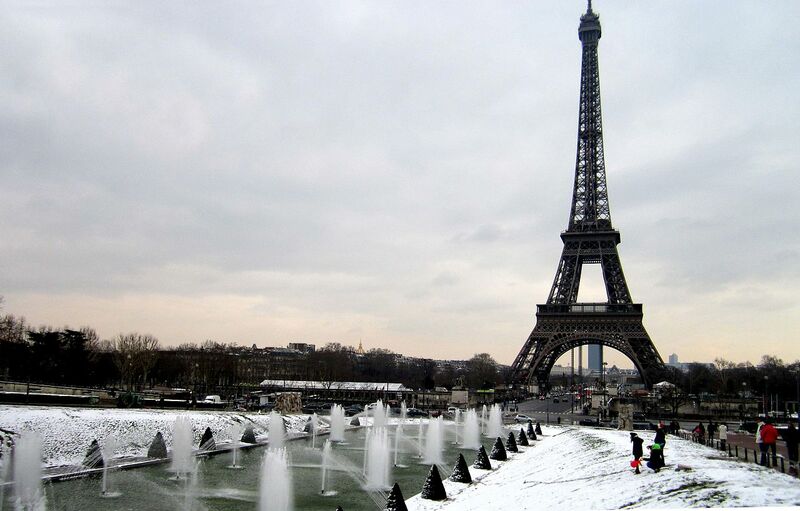 Pinterest has changed the way travel planners are constructing itineraries. Instead of weeding through millions of pieces of information, targeted searches produce concise and relative suggestions. Masterfully designed pins are designed to attract attention and connect pinners to all types of online creators. It's easy. Pick a pin, and you’ll immediately be directed to blogs and websites related to your search. Travel writers are plentiful, and after a few research sessions, you’ll begin to connect with those who suit your travel style. To produce a Pinterest feed that is tailored to your destination, begin simply by searching the location’s name, iconic landmark, or other basic identifying descriptors. 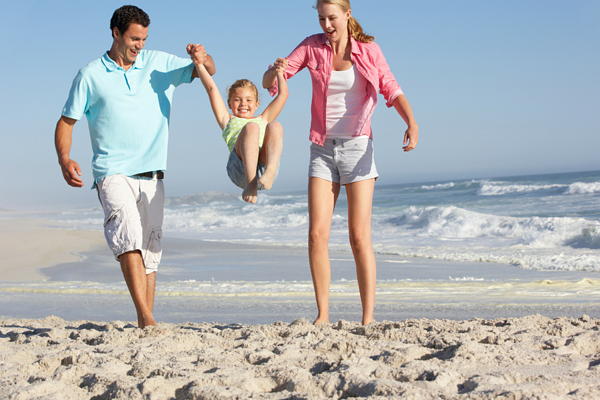 For example, Pensacola, Florida, is a frequently visited beach destination and also happens to be home to many military families. After dropping the search term Pensacola, Florida, dozens of gorgeous pins pop up. You’ll immediately see versions of: Guides to Pensacola, Free and Cheap Things to Do, Family Vacations, and more detailed pins, such as The #1 Beach in Pensacola. Pinterest immediately interprets your interests from your search terms and begins to fill your home page with Pensacola related pins. While you’re cruising through travel Boards, don’t forget to follow MilitaryByOwner. 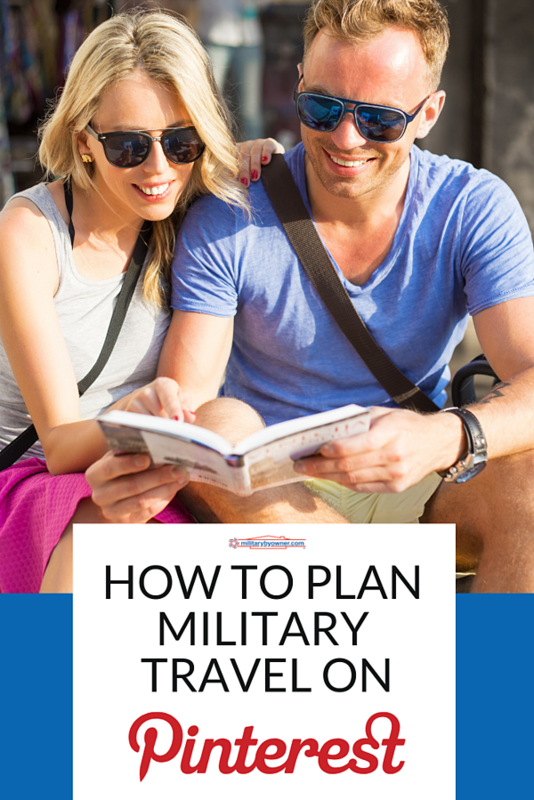 We already have or are part of several boards related to travel, including Space-A tips, Military Family Travel, Military Life, and Military Spouse Bloggers (many who specialize in travel). Not only are these boards helpful for leisure trips, but PCS travel as well. Many popular military bases have designated boards and contain tips on how to prepare for the move and embrace the destination after arriving. Following other individuals and companies also customizes your Pinterest feed with Pins they submit. Major corporations also offer special military rates, so it's wise to keep up with what they are Pinning on a regular basis. Here are a few suggestions to get more ideas from travel gurus. To search specifically, enter the destination and the company you’d like to follow. For example, Hilton, Pensacola Beach. The options are endless if working in detail is your happy place. But, also consider a broader vision for travel boards, just for fun and inspiration--you never know when opportunity will knock! Destination information is usually the first search terms people begin to look for, but Pinterest is also a time saving mode for learning about the art of travel through a big picture lens. Pins are generated to teach travelers many types of skills--from the best way to pack light to how to get the cheapest deals on airfare. See the screen shot below for an example of some pins on our Military Family Travel board. A unique feature of Pinterest is the ability to share any board you’d like with other people. Spouses can create boards that capture each person’s idea of a dream trip. Visually sharing restaurants, attractions, and other must-do events negates the chances of forgetting something along the way. If you're not interested in building a Pinterest community, mark your boards as secret, and they will only be visible to you, but still give you the ability to save relevant pins. Sharing boards is ideal for finally getting your family reunion or girls' weekend away trip on the books. There’s something extra exciting about sharing and resourcing with your BFF about vacation planning. Don’t forget to add some What Not to Do Pins on your board. Although some activities may be popular or even customary, local governments could surprise you by ticketing or fining illegal behavior. Niche travel is a where Pinterest really shines. Someone out there has mastered the specific travel itinerary you're looking for and has done all the research, making travel planning so much easier than in the past. Remember how hard it used to be to find a hotel that would take your dog? Now, pinners have conquered each and every square inch of the U.S. (and beyond) that has hotel availability for pets. The hidden bonus of these types of niche resources is that they are regularly updated, where in the past, print forms of travel info such as guide books have lag time to make up for. Many seasoned travelers have carefully researched the just right restaurant to celebrate an anniversary in Paris only to find the kitchen is closed on Mondays! A niche board on Paris will, more times than not, offer these types of insider info. To be fair, one teensy problem with Pinterest is the Rabbit Hole, or Squirrel Chasing Effect. Once you dive into creating boards with gusto, it's easy to get off track with the task at hand. There are so many subjects related to travel planning and likely your destination of choice that your eyes become larger than what your time management threshold can accommodate. Pinterest interest will spread. Once you’ve mastered travel Pinning, you’ll want to become the next Pinterest Star and create boards for everything related to your lifestyle. Care packages, chicken coops, entrepreneurship-- it's all there, waiting for you to gobble up the info. A bit of advice is to remember that Pinterest continuously evolves. Staying on task while planning your next vacation or dream trip will be a challenge, but take advantage of the curated MilitaryByOwner Boards related to travel. The tedious research is already done by trusted sources. After you’ve gathered enough pins to have a strong foundation, taking in the pertinent information about your preferred destination will be a breeze. For even more travel information, note that MilitaryByOwner continuously adds blogs and resource articles that are travel oriented. From moving to Japan and Germany to making the most of traveling with your kids, it's all there to make travel and PCS planning second nature. 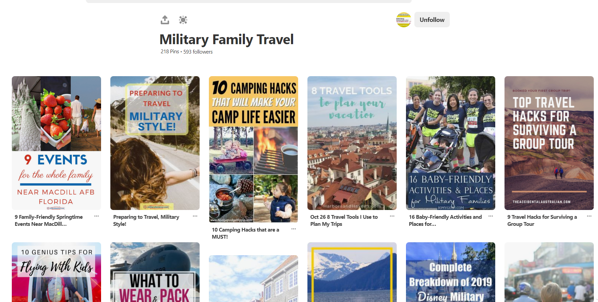 And be sure to follow our Military Family Travel Pinterest board!